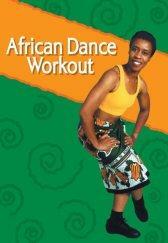 Learn dances from Africa or African Dance Workouts. 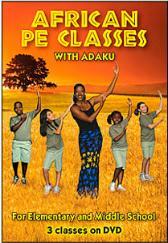 Experience African movement in three 20-minute fitness classes with Adaku! Includes: Class 1 - Elementary; Class 2 - Middle School; Class 3 - Bonus Class. Experience the power of moving to the irresistible dance grooves of West Africa. African Dance is intense, centering, uplifting and ecstatic. The roots of Hip Hop and many other popular dance styles can be found in these traditional steps. Join dancer/choreographer Abdoulaye Camara of Guinea, West Africa as he takes you step by step through five dance routines. Abdoulaye has taught students of all ages for many years and is especially skilled at breaking down steps into simple movements. 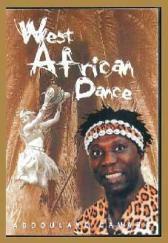 Dances included on this DVD are Yole, Kuku, Tiriba, Mandiani and Telefone. Students may chose which dance they want to learn or "play all" and get a great workout by going through all five without stopping. Each dance chapter is presented in three segments: 1 - Dance steps are broken down and taught one at a time; 2 - The entire dance is shown from the back view; and 3 - The dance is performed up tempo by Abdoulaye, front view. YOLE - A traditional mask dance from the Temne people of Sierra Leone near the Guinean border. It is danced by young and old at nearly all festive occasions. KUKU - From the forest region of Guinea, a rhythm originally used to welcome initiates back into the village. TRIBA - A welcoming dance of the Baga people of north western Guinea. MANDIANI - A traditional Malinke rhythm from eastern Guinea, originally danced by the young girls of the village before coming of age. TELEFONE - A recently composed rhythm and dance, Telefone refers to the role the drum plays in bringing people together as well as the communication between the drum and the dancer. 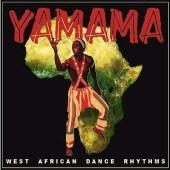 The irresistible dance grooves from the West African Dance Vol. 2 DVD are played on traditional instruments by world class drummer/percussionist Jason Hann. Contains Soko, Soli, Sinte, Yamama, and Kassa plus Telefone from the West African Dance Vol. 1 DVD. Jason Hann is an International percussionist in every sense of the word. He has toured and recorded throughout the world with an amazing variety of global musicians including Prince Diabate (Guinea), Hassan Hakmoun (Morocco), Mansour (Iran), Aloke Dutta (India), Khaley Nguwell (Senegal), and Prince Eyango (Cameroon). Artists that he has worked with in the U.S. include String Cheese Incident, Vinx, Rickie Lee Jones, Darius Rucker (of Hootie), Andre Crouch, Zoo People, Brian Hughes, Alana Davis, and the legendary Isaac Hayes. His highlight solo performance was in Istanbul where he accompanied his own DJ set with live percussion, and included guests from the famous Turkish band Mogullar. Produced, arranged, and mixed by Jason Hann. All percussion instruments played by Jason Hann. Instruments on the CD include: Djembe, Dununba, Sangban, Kenkeni, Kenken, and Djabara. SOKO - Traditional rhythm of the Komanko people of Guineaâ€™s Faranah region. In a traditional context it is played for and danced by the uninitiated during the months preceding the male initiation rite. Today it is popular throughout Guinea for weddings and other ceremonies. SOLI - From the Malinke ethnic group, traditionally used during the circumcision ritual that proceeds a boyâ€™s initiation into manhood. The fathers elect the wise man who will watch over the circumcised boys throughout their initiation, which lasts four weeks. SINTE - From the Susu ethnic group of coastal Guinea, danced all year round at various village gatherings. YAMAMA - From the Susu ethnic group, also called â€œMamayaâ€. The women of the village get together once a year to honor the female spirit of Yamama. On this occasion they ask her for what they will need in the coming year; more rain, plentiful harvest, fertility, etc. KASSA - A traditional Malinke rhythm from Upper Guinea played at all events linked to harvest as well as to encourage farmers as they plant and harvest their crops. The workers may have to walk miles from field to field and Kassa is sometimes played while the workers walk to the next field. TELEFONE - A more recently composed rhythm from Guinea. Both rhythm and dance were created by Master Sekouba Camara in 1995. Telefone (French spelling) refers to the roll the drum plays in African culture which is to bring people together. Before the telephone people used drums to communicate from village to village. A high intensity cardiovascular workout utilizing African dance movements from various cultures with a small upper body strengthening segment at the end. The music which fuels the dance is a mixture of African and Caribbean rhythms and melodies. You may find it more comfortable working barefoot only if you are accustomed to taking class that way. However, wearing good, supportive sneakers will aid in supporting all lower body joints. Try wearing your lappa, kanga or sarong to get into the style. Drink water throughout the workout and if movements feel uncomfortable, feel free to modify them. Make sure to control your motion and you'll feel the intensity. Warm Up: 7 minutes, Aerobics: 40 minutes, Cool Down: 3 minutes and Upper Body: 5 minutes. 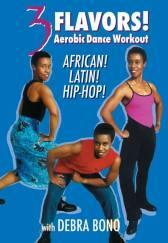 African, Latin and Hip-Hop - three 20 minute dance workouts to challenge your mind and body. Try them one at a time or string them together to make a varied and extended exercise session with increased intensity. Remember cardiovascular training, eating a balanced diet, drinking plenty of water and resistance/weight training along with increasing your flexibility are all ingredients needed to maintain weight loss and build strength for a lifetime of healthy living. It's always more pleasant to feel like you've had a great workout without really feeling like it was "exercise". Drink water throughout the workout and if movements feel uncomfortable, feel free to modify them. Make sure to control your motion and you'll feel the intensity. A performance based dance from West Africa molded into a cardiovascular workout for your pleasure, sweat and entertainment. Learn all the moves, then put them together to perform for yourself. This 55 minute workout offers a faster version of the finished dance for those who want a greater challenge. A small abdominal session is included at the end to target waistline muscles. Intensity level: Beginner/intermediate. Each of the dances is taught by a native of the country from which the dance originated or by an expert in that particular dance form. Wearing traditional costume, these teachers instruct the dance and then the dance is demonstrated by a group. Use this video in combination with the companion guide and quality music to learn about, experience and appreciate the uniqueness of other cultures! An excellent visual and audio resource for learning the most popular multicultural dances today. These dances were selected based on a teacher's survey throughout the United States. Included is step-by-step instructions for the following dances: ISRAEL/Hora; HAWAII/Hukilau; SERBIA/Savila Se Bela Loza; USA/Virginia Reel; GERMANY/d'hammerschmiedsgselin; GHANA/Highlife; ROMANIA/Alunelul; CHINA/Chinese Ribbon Dance; MEXICO/El Jarabe Tapatio.